Often, we wonder, what would have happened had I chosen differently? Normally, the choices we make don’t affect our immediate mortality. However, when you are alone in the wild, one wrong decision can be the death of you. 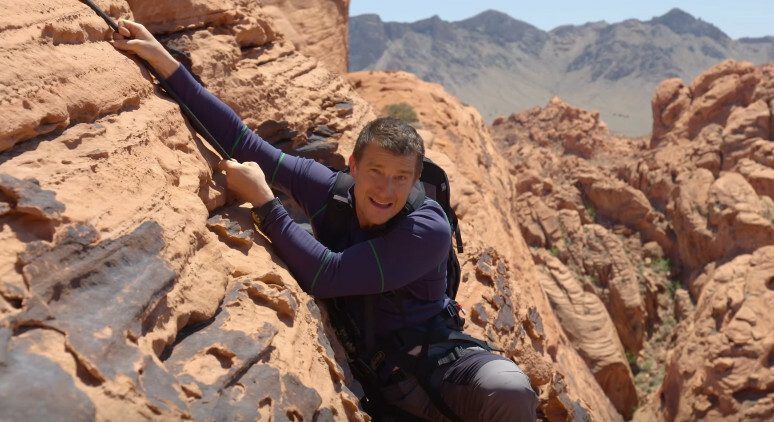 If you are a fan of ‘Man vs Wild’, then you have nothing to fear while going into this series. 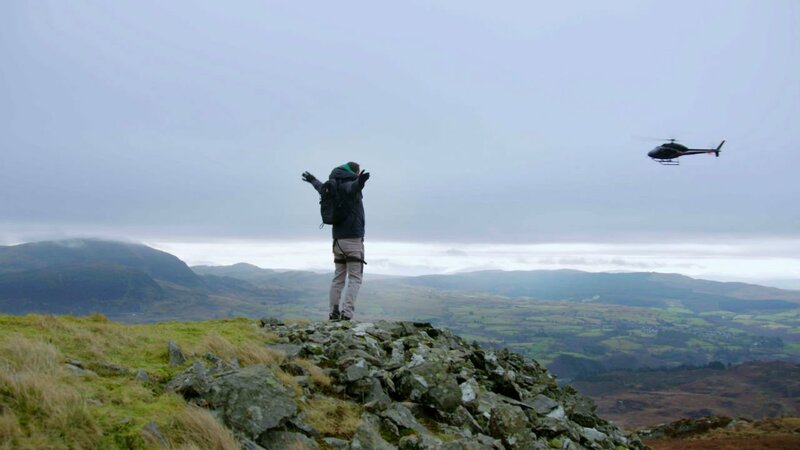 But if you don’t have a prior survival experience, either in real life or on TV, then Netflix’s ‘You vs Wild’ presents a great opportunity for you to test yourself. Left alone in the wilderness, how will you survive? 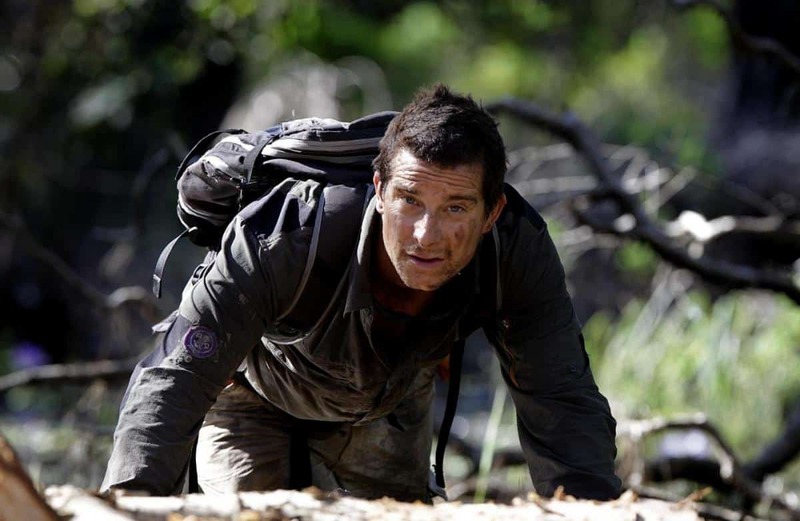 Bear Grylls, the master of survival, will accompany you. Though, he, too, will be at the mercy of your choices. For every decision you make, it can only end two ways. Either you move forward and complete your mission. Or you fail and call for an evacuation. There is no other alternate ending in this show, just like there’s no other ending in the wilderness. You either survive or you don’t. A lot of choices appear for you along the road. The choice of weapon, the choice of exploring a possibility or letting it go, the choice of going left or right, and even, the choice of making Bear eat a worm or a bark. Discussing each and every option available will be too exhaustive for my liking, and yours. Our objective in this article is to discuss the most important choices and to conclude the best course of action for every scenario, and most importantly, the lessons we learnt from our mistakes. But before we delve into that, if you haven’t yet seen the show, then this will give you a whole world of spoilers. If you really want to test your chances in the wilderness, you better not try to cheat! You can come back once you have actually assessed yourself. The Mission: This adventure calls upon you to save a Spanish doctor who is stranded in the jungle. She was trying to get malaria medicines to a village that is deep inside the forest, but she met some trouble on her way, and now she needs your help. The mission is to help Bear find her and get her to safety. She is somewhere in the middle of the forest and to get to that point you have two choices- either take the long way through the jungle or try the shortcut through the river. Before you make a choice on your route, you will have to choose the one thing that Bear can carry with the rest of his items. It is either a grappling hook or a slingshot. Both of these things can make a great difference in your survival in the surroundings. This is one of the critical decisions. A grappling hook comes handy when you need to rappel (which is what will happen quite often in this series), especially when you are stuck in a chasm or a pit and need to find your way up. A slingshot, on the other hand, can help you scare off, if not fight, the predators lurking in these territories. The wrong choice here can result in mission failure later. The next choice is between the forest and the river. As Bear says, “choose your battles in the jungle”, you have to make a very smart choice here. Would you rather take your chances in a river full of crocodiles, or bushwhack your way through a dense forest full of god knows what animals? Once you have chosen your path, you have to commit to it. The Best Route: The easiest way to get this done is this. Choose the slingshot. Make your way through the jungle, because even if you choose the river, you’ll end up right back there. When it comes to climbing the tree or following the monkeys, choose the monkeys. You have a slingshot; you can scare them away. Then you can go straight on the path that will lead you the bunker where the doctor is hiding. You won’t even have to face the chasm here! Mission accomplished. Lessons Learnt: Going through the river, the crocs are bound to appear. Swimming stealthily is not a good idea because these creatures can pick up the subtlest of sounds, and no matter how quiet you try to be, there will be sound. A confrontation with the crocs in inevitable and you might as well get it over with. However, things can easily go south in any case, so one needs to give serious thought to this before moving forward with anything. But not all choices are that difficult. Even if you are not a survival expert, you must know things like using elevation to survey your surroundings, never messing with an animal if you don’t have a weapon, never swimming against the current, and not using a structure to cross something that you can’t trust. The Mission: Once you have helped the good doctor on her way to recovery, you need to pick up where she left off. Those medicines aren’t taking themselves to the village. Someone needs to deliver them. And that is you! One of the advantages here is that you already have a path mapped out in the form of the cold chain route, that is generally used by the doctors. Your choice is whether to follow that path or find your own way. Unlike the first mission, where not every bad decision led to the failure of the mission, this one is rather tackier. Except for one and a rather mild choice, every step can lead to the termination of your service. So, you have to tread very carefully. Whether you choose the chain route or you steer away from it, whether you choose mangrove swamps or sawgrass, whether you should find shelter in a cave or a tree, and even, whether you should eat the frogspawn or catch a fish; every single question has a wrong answer. The Best Route: Here’s what you do. Stick to the cold chain route. You know where it goes, you can trust it. Commando-crawl through the first line; don’t rappel, don’t go off course. Cut through the sawgrass, use the mud to mask your smell from the jaguar (masking the smell is always the best choice), camp in the cave and rope climb the plateau. Mission accomplished. Lessons Learnt: Never eat frogspawn. Never ever, it feels wrong on so many levels. It will mess your stomach. Next, never part with your valuables, in the jungle or in the civilization. Never tread into murky waters. Never try to climb slippery slopes. The Mission: If you are a dog person, then this is the single most important mission of your life. Dana is a rescue dog who has helped many stranded hikers. 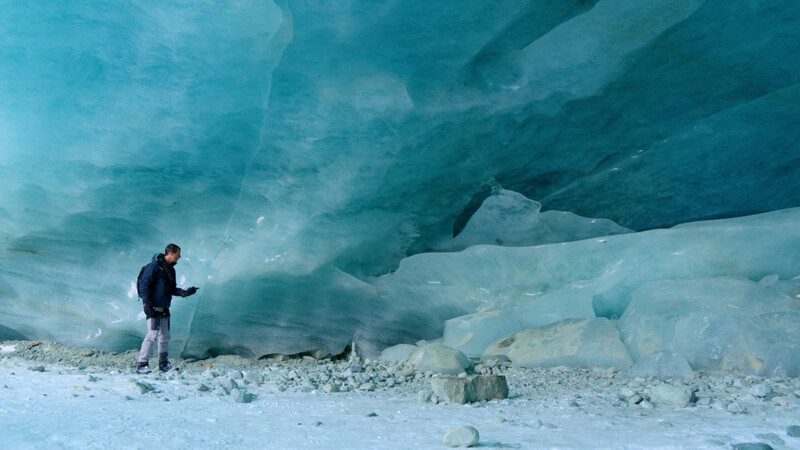 But this time, she is the one who is lost in the icy environment of Swiss Alps. 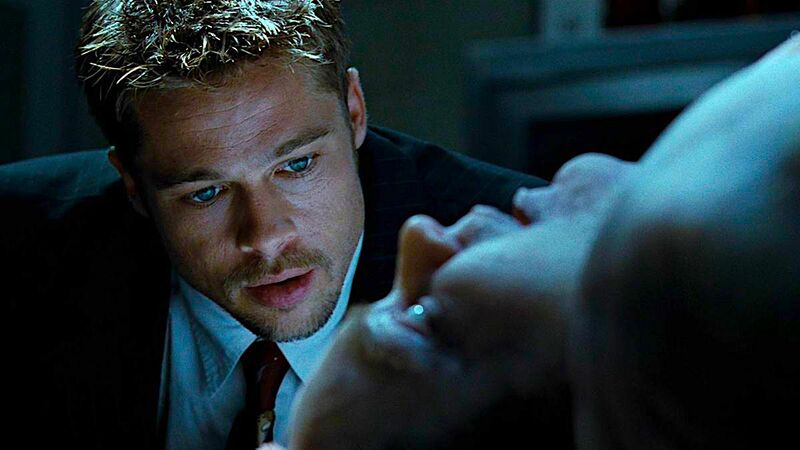 Your job is to find her, as soon as you can. This scenario needs you to make some educated choices. Like I said, even if you haven’t been a scout or haven’t received any special training for survival in the wilderness, there are calculated decisions you can make on the basis of common sense. This episode is a simple test of that. The web of possibilities in this scenario only has two cases where you aborting the mission becomes essential. And even those things can be easily avoided. The choices were comparatively easier in this one. The Best Route: Ski and rappel your way to the cave. Paragliding is a good option too, but it will lead you to the frozen lake and you might want to stay away from that. Anyway, you need to head to the cave. Whether systematic or speculative, be vigilant about your tracking. Make a snow cave for yourself. Rapple your way to Dana, and get that big, beautiful, furry beauty of a dog to safety. Lessons Learnt: Snow is an insulator. No matter how chilling it looks from the outside, burrow inside it, and it’ll keep you warmer than your surroundings. Never make the mistake of staying out in the open in sub-zero temperatures. When on feeble grounds, take cautious steps. Running for it will only worsen your situation. I also got the hint that rappelling almost always works. And above all, never ever eat anything out of any animal’s poo! Unless you ABSOLUTELY have to, which I hope never comes to it. The Mission: The only purpose of this exercise is to find out if you can keep yourself alive in the snowy mountains for a period of just 24 hours. This time, it is not about helping someone else. This time, it is about helping yourself. One of the main things that I saw in this episode was the choices not working, but not being a failure either. You set a trap for your prey you don’t catch anything. But that cannot be considered a failure. You eat a bad mushroom that makes you ill, that is a bad choice. That can make you a failure. Just because an eagle foiled your plan to get a sense of direction from a high vantage point, doesn’t mean that your idea was bad. It’s just that you can’t control all the details, and if something goes wrong, you shouldn’t be disheartened by it. You are all alone in a place where you can freeze to death. Self-doubt is the last thing you need. The Best Route: The best course of action here is to stick to static survival. That way, you’ll have a shelter for the night, you can give some serious thought to working on the rescue plan. The only other thing that remains is to concentrate on your food. This way, you won’t have to waste your time with the mushrooms. You’ll find some bigger fish to fry! Lessons Learnt: Learn to accept that things can be both, neither a failure nor a success. Move on to other tasks. “When in doubt, throw it out.” Avoid sharp objects for the rope that you are using to keep yourself alive. Just like footprints on a beach can be washed over by the waves, your S.O.S signal can be concealed by the snow. The Mission: This mission takes you on a completely different surrounding from your previous adventures. This time, you are in the desert, and your real enemy is the blistering heat and the dehydration that follows it. Your task is to locate the wreckage of a plane that crashed somewhere in the desert. It was carrying anti-venom medicines, and they are what you should focus on retrieving. Again, it is all about educated choices. Should you take the chance of climbing down an unstable steep slope? Wouldn’t you rather rappel down? Is it wise to abandon your need for hydration for the urgency of your mission? You have to understand that opportunities for finding food and water don’t come easily in the wilderness, especially if it’s a desert. You have to keep survival above the mission and let your choices be dictated by that. The Best Route: The best course of action is actually a bit objective here. Use a chopper or a plane, if you make the right choices, in almost the same time, you’ll be on the same path. For the sake of some difference, lets skydive through a plane. We’ve been in enough choppers by now! Use the line across the chasm, and you’ll be on the right path to the wreckage. Do take a detour to replenish water. If you’re not in the right form, you’ll not be able to help anyone. Lessons Learnt: Always prioritize hydration above everything else. Learn to get a sense of direction! It’s helpful even when you are in your own city. Also, before eating any grass, or something like that, check if it oozes some milky, glue-ish stuff. Otherwise, irritation and blistering follow. The Mission: After succeeding to find the wreckage in the previous case, we discovered that all the medicine had been destroyed as well. Now, we are picking up the task to supply the material for it, if not the medicine itself. The trick to producing an anti-venom is that it comes from venomous creatures themselves. Our task here is to find a spider, a scorpion and a snake and deliver them to the people who’ll make anti-venom out of it. Hence, we’re compensating the loss in the previous episode. After surviving for the past five episodes, a lot of things have become clear, the things that even an amateur could tell you now. Making those mistakes here is not a learning step now. It is stupidity. Yes, some risks have to be taken, but don’t let them be blind decisions. Is it worth the risk to meddle in rusty old metals that can give you tetanus? Is it wise to try and tackle a snake with its tail when it is the head where its poisonous mouth is? You decide! The Best Route: If you want to catch all three creatures, then this is the best route to follow. Go for the mine-shaft. Follow the cave with the water and flush out the tarantula. At night, use UV light to catch a scorpion. The next morning, catch the snake and go for the head! A simple course of action, mission accomplished! Lessons Learnt: Be strategic about the way you handle creatures. Sticking a hand inside a snake’s (in this case, a tarantula’s) hole is never a good idea. The technique of flushing them out is a better choice. 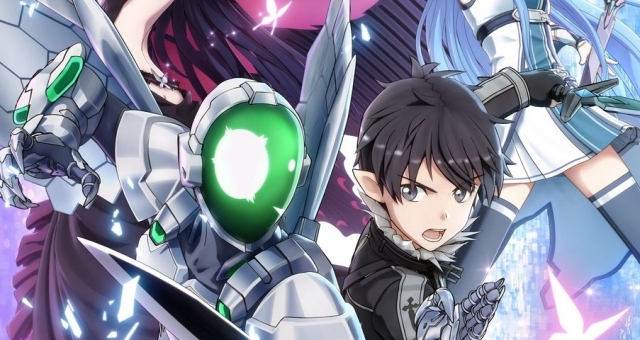 The Mission: Even though the title contains the word “dragons”, we are not going to China! This is actually a place in Wales! Just as the fourth mission, the task at hand is to survive the wild and find a way back to civilization. Now here, the choices need to be very thought-out because the situation can easily go dicey. Is it important to take unnecessary risks and explore the difficult options when things can be done in easier ways? The choices in this episode easily meant a way out. One wrong move and you were done. It didn’t provide the benefit of taking a risk like in some of the other episodes. The Best Route: Start with the cliff. Don’t eat the eggs. In fact, don’t eat anything if you can’t trust your judgement. Tread carefully over murky lands, and if caught, be resourceful. Since you know that other animals can access the cave, take your chances with the forest. You need to get out anyway. Even though it worked in this case, don’t just jump into any fall. Take it nice and easy. Rapple. Pick your own battles, but if the battle picks you, don’t run away. Lessons Learnt: You might need raw eggs for your protein shake, but don’t try them in the wild. Raw eggs are a big no-no. Also, skip the limpets. Stick to the veggies this time. When stuck in a Quicksand-ish situation, never try to fight. Try to ease out. (Hermione already knew that when she was eleven. So, should you!) Don’t go looking for trouble, and if it does confront you, never run. It will only make your predator bolder and even when you decide to fight, they won’t back down. The Mission: The last mission took us to a place that appeared promising not only to adventure seekers but also to the horror-loving people. In one of the situations, it actually looked like Bear would come face to face with a ghost! But, the lack of oxygen can be tricky. The mission here was the same as that of the last episode. Get lost in the wilderness and find your way back to civilization without crying out for emergency extraction in the middle of it. Now, this was a rather interesting adventure. While the paths often overlapped in other episodes, this one gave you unique outcomes for major choices. The exploration part is a bit more developed here. Perhaps, they wanted to keep the best for the last. This task was about making choices as small as the flip you want to do before jumping into the water and the path you should choose for your journey. Once again, in a couple of places, it came down to choosing between what was already available and what needed to be made. Common sense, again, became an important factor here, and some choices were rather obvious. By now, we’ve learnt a lot, and we’ve also discovered that Bear knows what’s going on in your mind when you’re asking him to do stuff like eating worms! The Best Route: Take whatever flip you want into the lake and as soon as you hit the shore, start working on making that fire. Use a chain to go up, deal with the fact that Bear is not eating that worm (he has eaten enough to make him sick by now), and when you see the road, use the miner’s line. In case you want to explore some, go for the mine instead of the chain. Use your common sense to move forward and come out with a bang! A nice way to end your journey. Lessons Learnt: A fire is the best way to keep yourself warm. Don’t rely on yourself to catch a sheep to snuggle with! 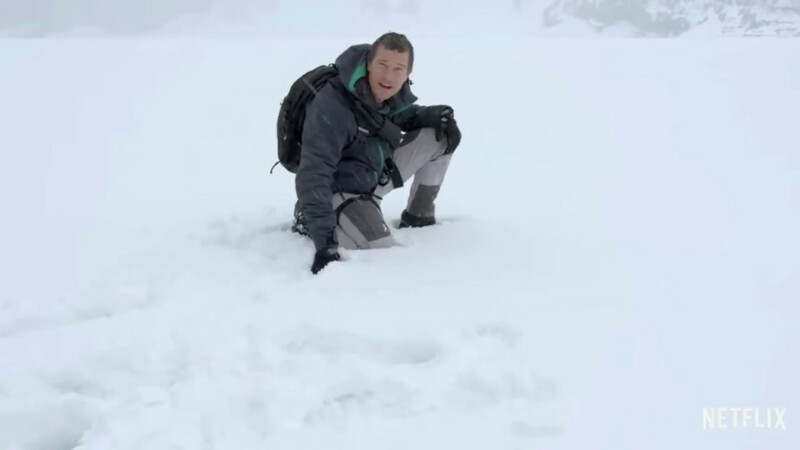 No matter what you saw in ‘Man vs Wild’, Bear’s favourite food is not worms. You can keep your underpants because birch burns more than cotton. And when in closed spaces, always go for the path that gives you a draft. It is foolishness to seek warmth here. You’ll most probably hallucinate and die due to the lack of oxygen. 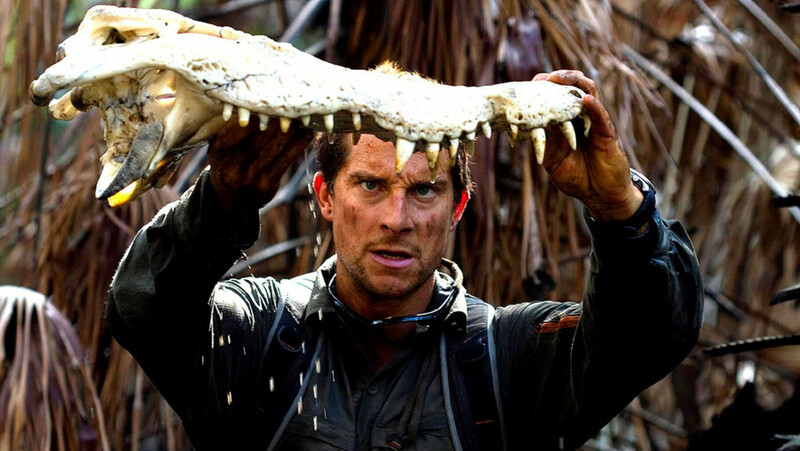 Read More: Is You vs Wild Real or Fake? 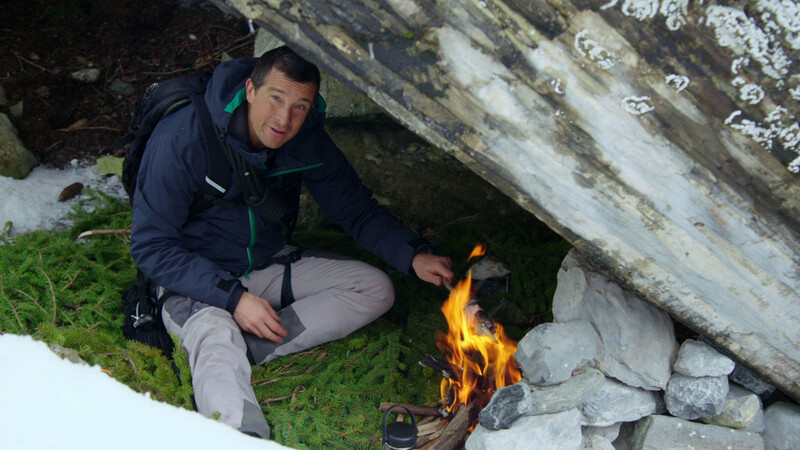 | Will There be You vs Wild Season 2?